When HQ Trivia debuted last year, the world (aka all your co-workers) was divided into two camps: those who stanned for the exceedingly enthusiastic host Scott and those who found him insufferable. Those groups may never be reconciled. The app's influence has waned a bit in the meantime, but Scott is about to get bigger than ever. Literally. Because the app is now on Apple TV, and Scott will appear to be approximately 10 times the size he did on your phone screen. 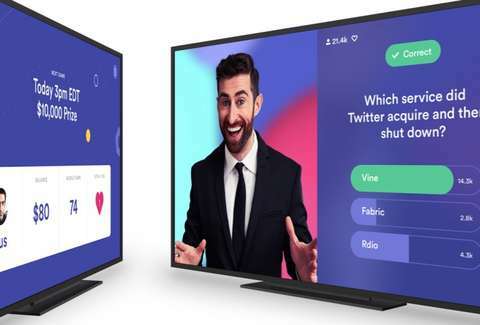 HQ Trivia announced on Twitter on Tuesday that the app had officially arrived in your living room, and, per Variety, you'll vote via your Apple TV remote. In case you need reminding, HQ has trivia competitions every day at 9pm, plus broadcasts at 3pm on weekdays. And keep in mind that while the pot may sound big, you'll likely be splitting it into chump change. A win's a win though. Also, if you want a shot at actually winning HQ Trivia, we've got you covered.